Macabre is a publishing house which seeks to specialize in one particular kind of world: the one where you dive deep into thrills, shivers and goose bumps. From Stephen King-like Horror to Victorian-inspired Gothic stories, and with a sprinkle of fantasy, Macabre shall not leave you without a cold sweat. Macabre is not just a publishing house that I would like to create, but also an entire universe! Getting into gothic, fantasy and horror stories will enable the possibility of combining common elements from these genres to blend them and to propose novel and original combinations and stories. A haunted castle, an abandoned manor, paranormal events, vanished epochs, sorcery or skeletons left in an empty and forsaken wardrobe: such are typical elements to be found in the forthcoming publications of Macabre. 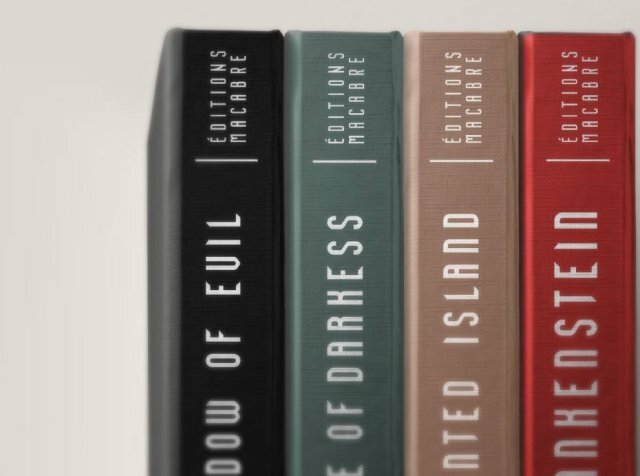 Macabre seeks to stand out from the existing market through a well-defined editorial line with a keen attention on both the quality of the physical book and on an appealing visual look for the covers. Key elements of each story would subtly make their appearance on the cover, thereby allowing the editorial line to transcend through the book as an object. 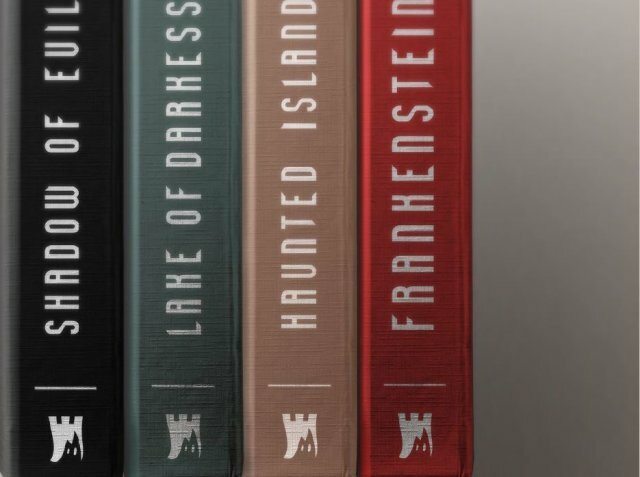 Each book would have its own identity while still belonging to a recognisable collection where all books are combined to form a large-scale one-piece illustration that would look outstanding on every bookshelf! 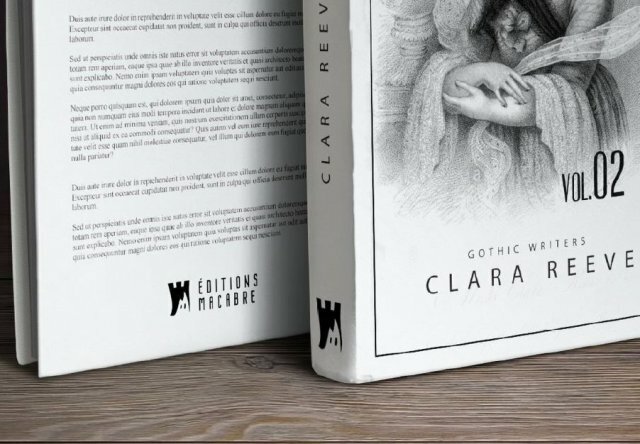 The books edited by Macabre will adopt a 12.50x21.00 cm closed and 27.19x21.00cm open format. This format constitutes an optimal size for a book, making it easy to carry it around and comfortable in terms of reading experience. The funding will be primarily be used to cover all administrative expenses related to the creation of the company and to copyright, as well as for design and the website. This will constitute a solid basis for the forthcoming step where manuscript submissions from authors will be considered. 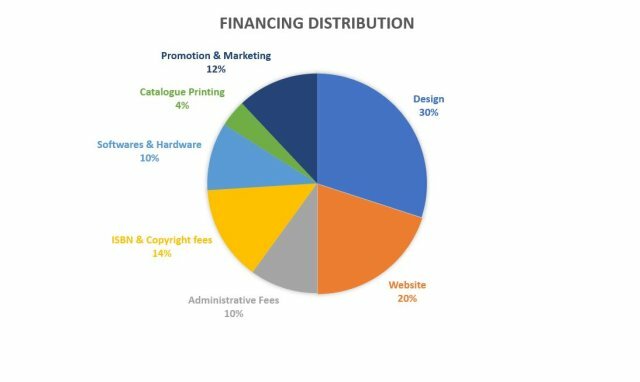 If the funding exceeds the objective, all fees related to the printing and the production will be covered with the excess. The strategy envisioned by Macabre is to propose two to three books at the official launch of the company and then to sustain a throughput of up to four publications per year. The launching of the publications would ideally involve two books at a time. the use of distinguishable well-designed book covers and collectible collections. Straightforward translation service between English and French directly upon 1st publication. The design process and the website will be the first steps toward a successful differentiation and identity-building on Macabre from which its visibility will be build on. Thus, new authors whose texts correspond to the editorial line of Macabre can submit their own manuscript based on this visibility. This is why the creation of an attractive website and a distinguishable signature look constitutes a paramount step for attracting tomorrow’s new talented authors. 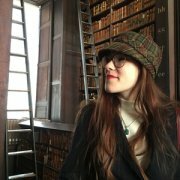 Furthermore, Macabre will highly encourage new authors to submit their papers in the context of open project proposal requests and contests, which will be held every year at Halloween. So far, no texts can be proposed along with this project since the project is only at its infancy. However, my strategy along with my business and marketing plans for the forthcoming months and years constitutes a solid basis from which the business can blossom. 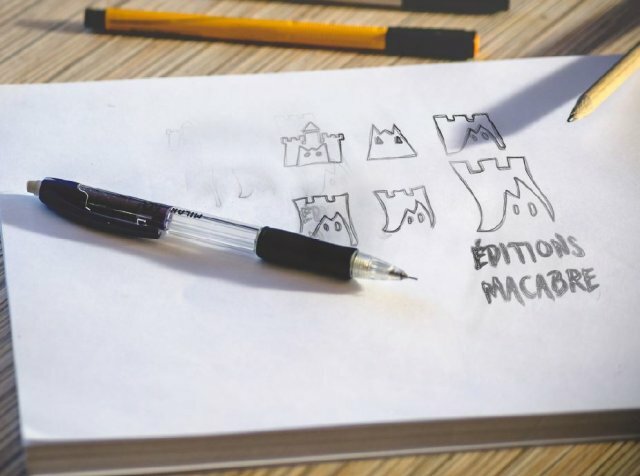 Speaking of design, I would like to introduce you to the work of two Brazilian creators and illustrators: Juliana Fiorese and Vinicius Meira who accepted to be part of the visual design for Macabre and who are the designers behind the logo of Macabre! If this fundraising campaign is successful, they will carry on with the creation of beautiful designs in the future and maybe even work on the book covers as well! My name is Mikaela, I am 21 years old and I currently live in Switzerland. 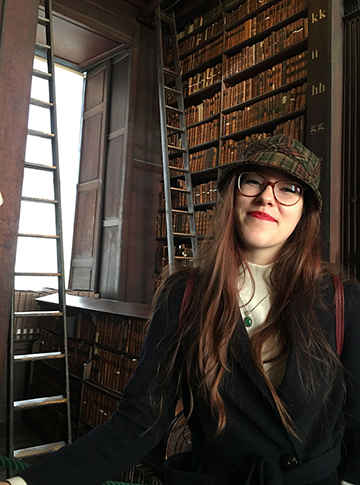 I am studying literature (Bachelor of Arts) at the University of Lausanne (UNIL) and at the Trinity College Dublin. My passion for literature has sparked from my early encounter of the “Goosebumps” book series from R.L. Stine, hence my interest toward horror stories. My passion for this genre was also inherited from my mother who was herself a keen reader as well. Five years ago, I created a Youtube channel in French called “Le Livre Ouvert”, from which I could have numerous opportunities to interact with different authors and editors. I have thus gathered precious experience and information concerning the book publishing field thanks to all of these people. Now more than ever, I am ready to take a step further and start my own business. I have gathered all I loved about literature to create my own publishing house. I believe wholeheartedly in my project and I feel confident about this publishing company, which I consider as an obvious direction in my career. I am highly motivated and serious about my work. Furthermore, my extensive research on both the current market outlook as well as on the establishment of the publishing house constitute a sound basis to give rise to this ambitious project and to lead it to a future success. I may seem young, but determination does not have an age or a limit. - A thank you handwritten letter! - Stickers of the publishing house! - An exclusive preview of the catalogue when it will be released (2020)! - The first publication of Macabre Edition (2020)! - The first publication of Macabre Editions (2020)! 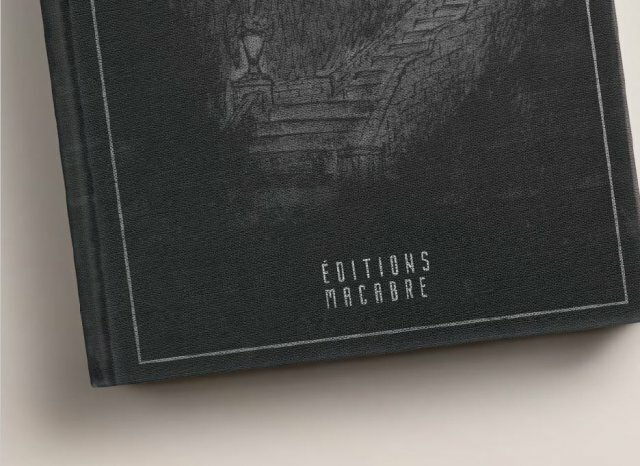 - A 20% off on the online catalogue of Macabre Editions (2020)! - The two first publications of Macabre Editions (2020)!